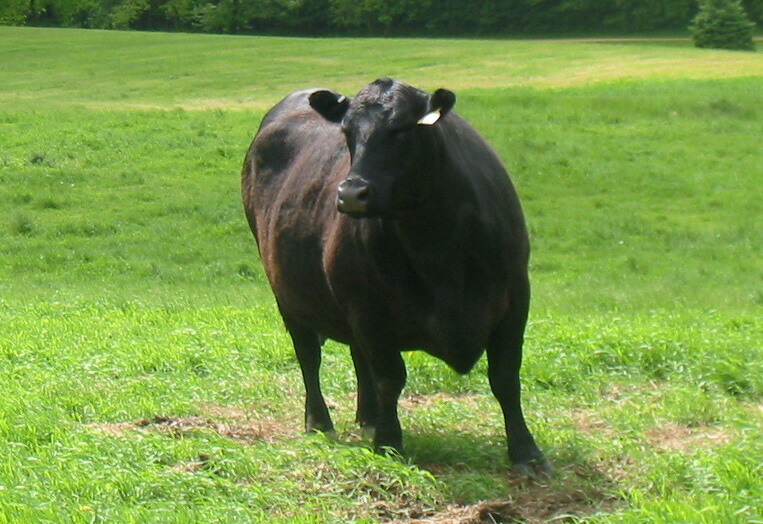 (for Pedigree) Click Here American Angus Assoc. page, then click "search"
Here is the Dam that produced the $10,000 "HE DID IT ALL" bull at the Midland Bull Test - 2009. Click HERE for More info on this Bull. 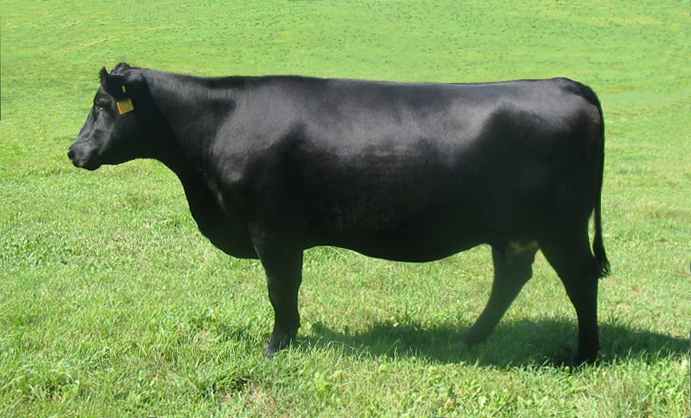 A direct daughter to the legendary Bon View New Besign 1407. Her Production Record reads: 5 calves @ 106 % WN (weaning ratio) 4 calves @ 103 % YR (yearling ratio) 4 calves @ 113 % Marb (marbling ratio) and 4 calves @ 97% RE (ribeye ratio). Birth Weight of 67 pounds. 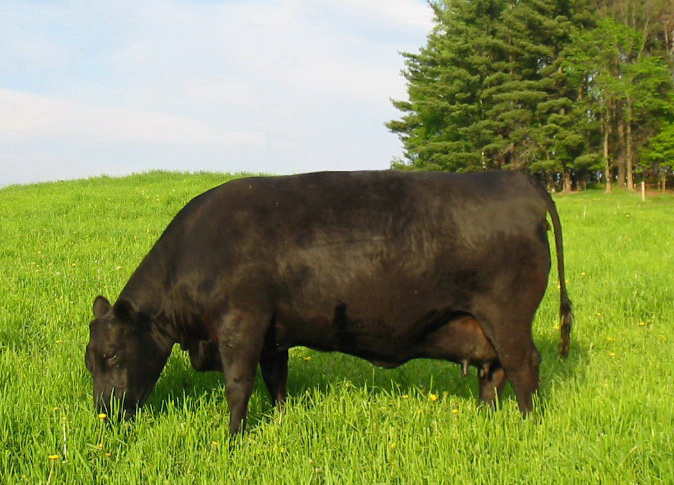 Click Here for info on Herd Sire- Pine Hill Rito 317Y.